อยากได้จอ..ราคาประมาณ 5000 ไม่เกิน 6 น่ะครับ 21" 22"
It is also common to market only the dynamic contrast ratio capability of a display (when it is better than its static contrast ratio), which should not be directly compared to the static contrast ratio. 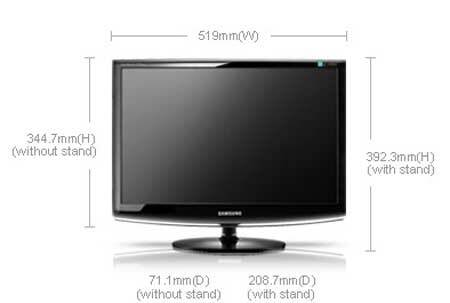 A plasma display with a static 5000:1 contrast ratio will show superior contrast to an LCD with 5000:1 dynamic and 1000:1 static contrast ratio when the input signal contains a full range of brightnesses from 0 to 100% simultaneously. They will, however, be on-par when input signal ranges only from 0 to 20% brightness. ส่วนไอ้ เกรย์ ทู เกรย์ กับ แบล็ค ทู ไวท์ มัน Response time ไม่ใช่หรือทั่น? All times are GMT +7. The time now is 11:39:11.